📡 Internet required? Yes: you need an active Internet Connection to play this game. 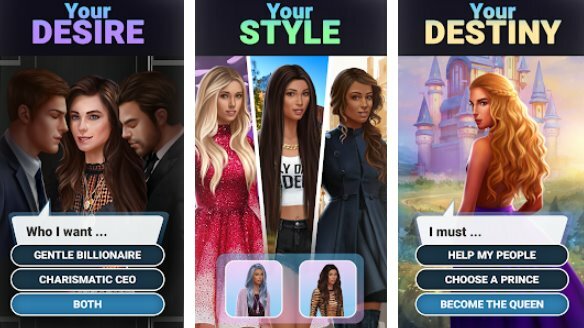 Your ideal partner: Gentle billionaire, bad girl vampire, or arrogant prince? Put your flirting skills to the test! Say YES to your desires in the original interactive stories of Love Sick! 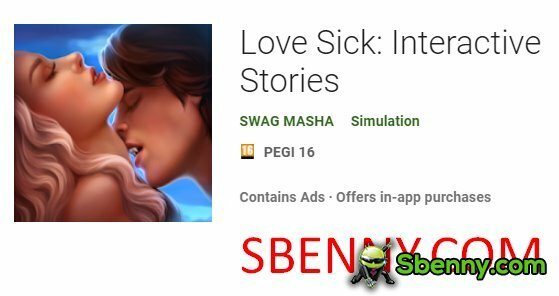 Download now the MOD APK of Love Sick: Interactive Stories for free, only at sbenny.com! Thank you, just wish the tickets worked too but its good enough. I lost all my progress cause I tried uninstalling all my cache just to see if I could fix the black screen from popping up.. hope you can fix this soon. Hi, it's not working for me. I tried everything. Even paid like 3 times already. I dont know what i'm doing wrong.